Work place injuries do not just happen on construction sites or in manufacturing plants involving vehicles, heavy machinery, or similar equipment. However, you may be surprised that office workers have valid claims for workers compensation benefits on a regular basis. Repetitive stress injuries – Office workers often complete the same tasks over and over, which can lead to repetitive stress injuries. For example, many employees who type on a keyboard every day may develop carpal tunnel syndrome,1 which can be painful and may require physical therapy or even surgery to repair. Falls – Office workers are also at risk of slips, trips, and falls2 on the premises of the office. Spills or slippery floors in break rooms, dangerous stairwells, and more can lead to broken bones, traumatic brain injuries, and similar serious injuries. Assaults – Offices should have adequate security to protect its employees inside the building or in parking lots or garages. If there is inadequate security, an employee may be the victim of an assault while on the job and may sustain related injuries. You are entitled to benefits under South Carolina workers’ compensation laws whether you work on a hazardous job site or in a seemingly safe office building. 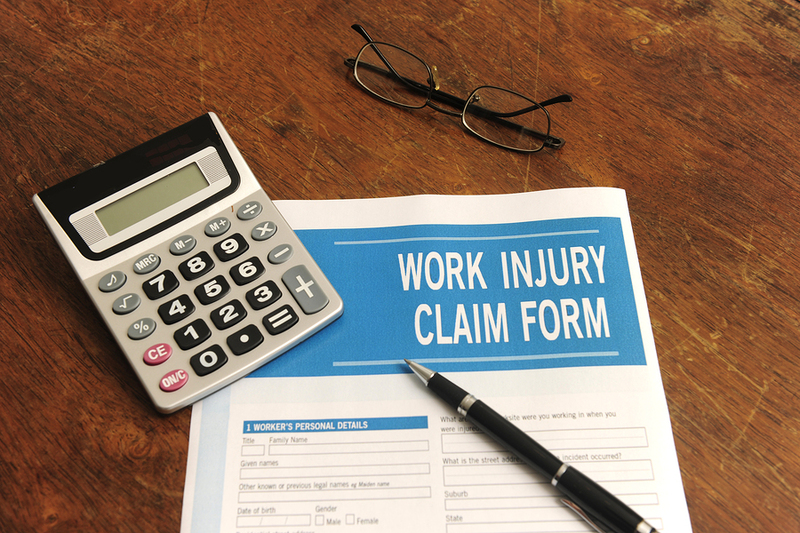 Though there is generally less of a risk of on the job injuries for office workers, this type of employee can still require workers’ compensation benefits in certain situations. On the job injuries in a white collar environment are often more difficult to prove, however, so it is imperative to have the assistance of an attorney who understands the South Carolina workers’ compensation process. Call the Law Office of Walter Hundley in Charleston at 866-723-1995 or 866-723-1995 for assistance today.